The Republic of Croatia achieved independence in 1995 after a five-year bloody war with the former Federal Republic of Yugoslavia. During the war, hundreds of thousands of people were killed, seriously injured or displaced. The minority population of Croatia has fallen drastically. This is partly due to some minorities’ fears of discrimination in post-war Croatia, partly due to ‘ethnic cleansing’ during the 1991 war and partly due to an ethnically-biased returns programme for refugees and displaced people. The Croatian government’s programme for returnees has favoured ethnic Croats over other groups especially ethnic Serbs. Minorities in Croatia argues that the government needs to tackle a raft of minority rights issues if the state can truly be seen to be democratic and representative of all of Croatia’s peoples. These issues range from the introduction of non-discrimination measures in education and employment, to cooperation with the International Criminal Tribunal for the former Yugoslavia and the full implementation of the government’s new Constitutional Law on the Rights of National Minorities. 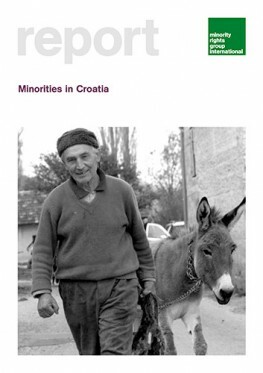 The report contains information on many of Croatia’s minority groups, with a particular focus on the two minorities who are arguably most discriminated against in Croatia today - the Roma and the Serbs. It is not only Croatia’s neighbours in the region who are watching the government’s movements with interest; Croatia will have to fulfil many requirements on minority rights if it is to further its accession into the European Union. MRG’s report concludes with a series of recommendations aimed at the Croatian government.